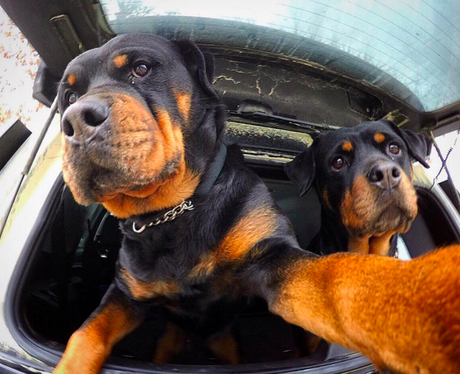 This dog can't resist snapping a selfie in a car! Ready For Their Close-up: Animal Selfies! 2. This dog can't resist snapping a selfie in a car! See the full gallery: Ready For Their Close-up: Animal Selfies!